There is literally no part of the North American continent that does not contain at least one species of dogwood (Cornus spp.). 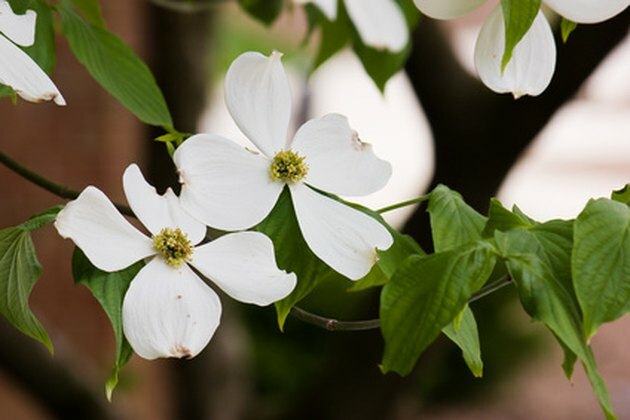 Of the many species available in size and form, ranging from low-growing shrubs to towering trees, the most widely recognized and used for landscaping is the beloved flowering dogwood, Cornus florida. The "flowers" -- actually colorful bracts -- are large and showy in that species, but dogwoods show much color variety in their stems, berries and leaves, as well. The bracts of a flowering dogwood are distinctly flower-like. Pink flowering varieties are an attractive alternative to the more usual white flowers. The vast majority of dogwood flowers are white -- though the flowers may also be pink or rose and rarely, yellow. While flower color is somewhat limited, the size and shape of the flowers varies considerably from the large single flowers of C. florida to flower clusters of the pagoda or alternate leaf dogwood, C. alternifolia -- and even to the inconspicuous, as in C. capitata or Bentham's cornel, an Asian species. 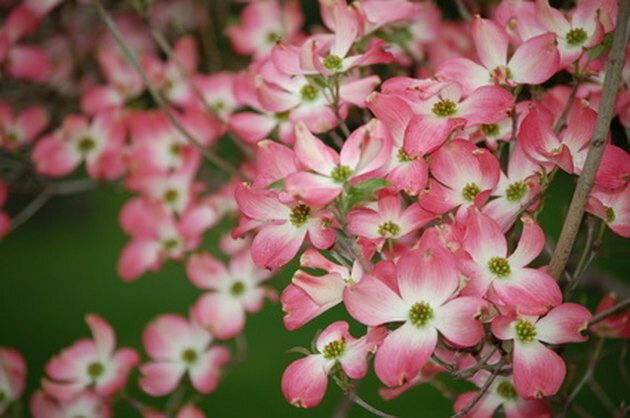 White varieties such as Weaver's White and Welch's Bay Beauty abound, but perhaps the most widely planted of the pink and red flowering dogwoods are the Cherokee cultivars of C. florida -- Cherokee Chief, Cherokee Brave, Cherokee Daybreak and Cherokee Princess. In addition to beautiful color, the Cherokee cultivars and the two white cultivars mentioned, exhibit resistance to anthracnose and powdery mildew, common diseases of dogwoods. Dogwood berries are typically red and oval. Many dogwoods exhibit large oval red berries in the fall -- by far the most common color and shape, whether on the stately flowering dogwoods or the low-growing creeping dogwood, C. canadensis, also called bunchberry. Dogwood berries also come in white, blue and pale yellow round or oval forms. 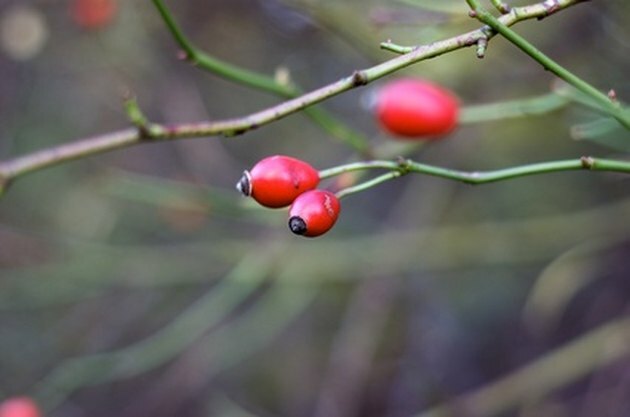 C. alternifolia produces blue -- almost black -- berries on lovely red stems. The silky dogwood, C. amomum, bears gray-blue berries and the yellow-flowering cornelian cherry, C. mas, yields an edible harvest of orange-red berries, resembling tiny pear tomatoes. The gray dogwood, C. racemosa, produces round, white berries on red stems. With its brilliant scarlet-colored stems, the American native redosier dogwood, C. stolonifera, is a spectacular specimen for winter color in the landscape, and sometimes woven into baskets. Several of the dogwoods exhibit the red stem color, but the redosier is one of the hardiest of the shrub-sized dogwoods when grown in moist conditions. Some of the prettiest Cornus cultivars for winter interest come from the bloodtwig, C. sanguinea -- among them Midwinter Fire and Winter Flame -- and the Chinese and Siberian native C. alba or redtwig dogwood, especially cultivars Cardinal and Siberica. 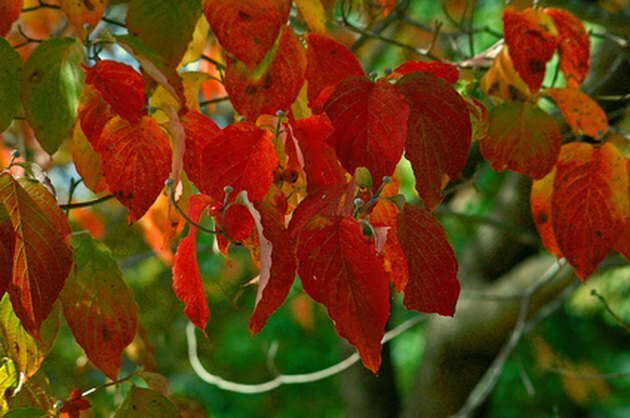 Early color in dogwood leaves combines brilliant yelows, oranges and reds. For dramatic fall foliage, the dogwoods are hard to beat. Most exhibit deep red foliage, often with orange or yellow gradients early in the fall, turning more intensely scarlet as the season progresses. The leaves frequently also exhibit green veining until the color fully develops, making them even more interesting as landscape plants. Some dogwoods, such as the Pacific flowering dogwood, C. nuttallii, produce yellow-orange fall displays. Deborah Stephenson is a homesteader, lifelong organic gardener, former zookeeper, naturalist, artist and anthropologist who brings an eclectic range of experience to her writings. When not writing she can usually be found puttering in her extensive gardens or exploring the national forest next door with her dogs.